St. George’s offers a variety of educational opportunities for children and adults. Christian Education is offered on Sunday mornings, and visitors are always welcome. During the week, we offer the Education for Ministry program on Monday evenings. Our nursery is staffed by paid professionals and is available for infants and children under the age of three from 9:45 A.M. to 12:15 P.M. during the Church School year. In the summer, the nursery is available for infants and children under five from 9:45 A.M. to 11:15 A.M.
Catechesis of the Good Shepherd is a Montessori-based program offered for our children ages three through seven. It is offered during the worship hour from 10:45 until 11:35 A.M.; children join their families for the Eucharist during the peace. For parents attending Church School at 10:00 A.M., the children are invited to play in the Nursery before class begins. Upper Elementary and Middle School students will explore and think about Scripture readings of the day, in a variety of ways that may have them on their feet, out of the classroom and in to the nooks and crannies of St. George’s. The class meets from 10:00-10:45 A.M.
Our High School students serve as Christian Education Assistants in our Catechesis programs, engaging the children in their lessons and encouraging them in their various projects. Fellowship and Faith offers a chance to meet other church members over a cup of coffee. Who are they, where have they been on their journey, what is going on in their lives, what is important to them, and how do they live their faith in the midst of it all? This class is an opportunity for conversing with our fellow parishioners, reflecting more deeply about the faith we hold sacred, and helping one another discover ways to live that faith in life-giving ways. Meets in the Vestry Conference room from 10:00-10:50 A.M. The Adult Forum addresses a variety of topics of concern to the enhancement of one’s knowledge and practice of the Christian faith. Often times, the group will study a particular biblical or historical topic, such as “The Prophets” or “The Early Christians.” Also, parishioners share their professional and spiritual life-journeys. Newcomers are always welcomed and encouraged to attend. The Forum meets from 10:00-10:50 A.M.
Education for Ministry (EfM) is a program designed for the laity who would like to deepen their own ministry by increasing their knowledge of the Bible, church history and theology as they learn to reflect theologically about their own life and ministry in the world. Extensive educational materials are supplied by the School of Theology, Sewanee: University of the South, to guide the process. Participants work in a group of six to twelve people guided by a mentor/facilitator through four one-year (nine month) sessions. 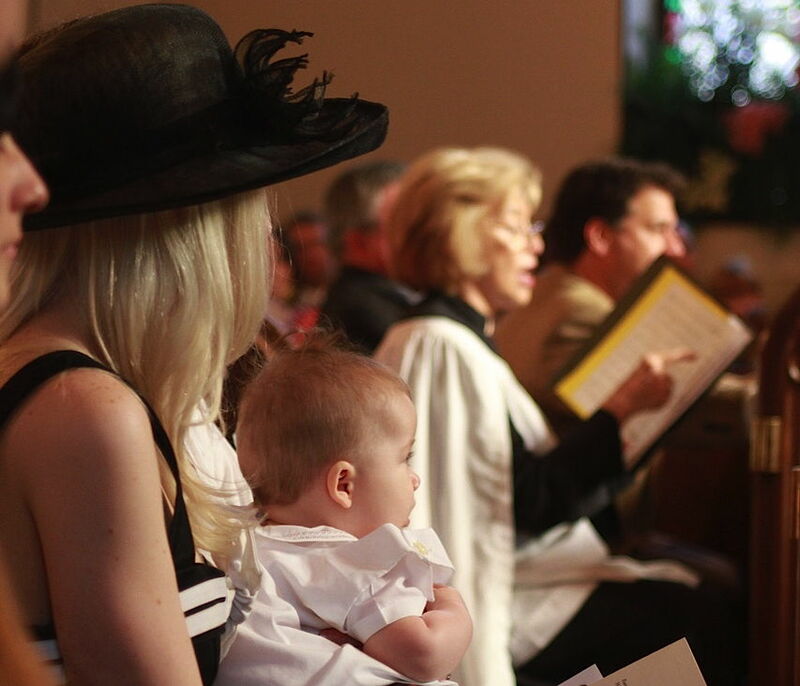 EfM enjoys a history of over 30 years in Episcopal parishes with approximately 30,000 graduates worldwide. At St. George’s this group meets from 6:00-9:00 P.M. on Monday evenings from September through May. Childcare is provided. St. George’s Episcopal School is an independent, not-for-profit Episcopal day school in Milner, Georgia that was originally founded by members of the church. The school seeks to enroll students of good character who give evidence of being able to benefit from a challenging learning experience, and welcomes persons from a variety of ethnic, cultural, religious, socio-economic, and racial backgrounds. It serves children from Barnesville, Griffin, Jackson, Milner, The Rock, Thomaston and Zebulon.